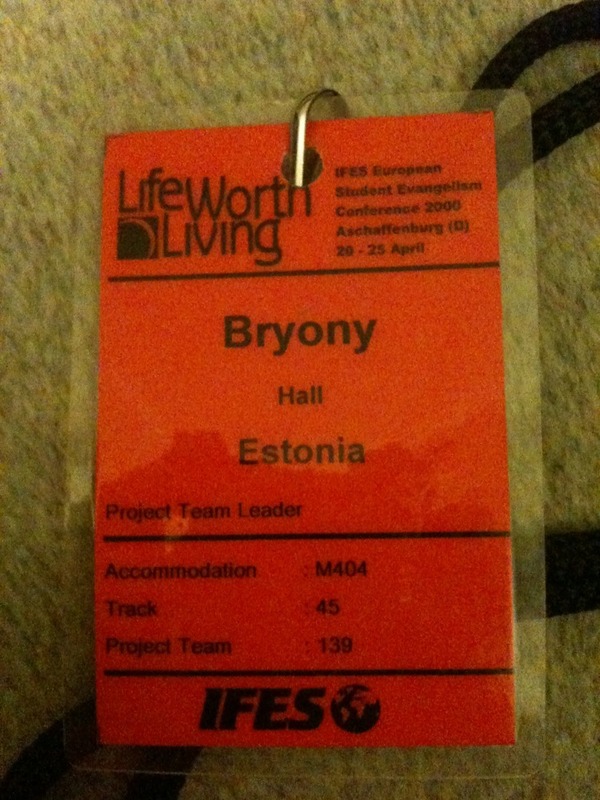 I went to this conference in Germany in 2000 whilst on my gap year with IFES in Estonia. 3000 students were there from 50 different countries. It was one of the best events I have ever been to. Previous Wreck this journal? Wish me luck!